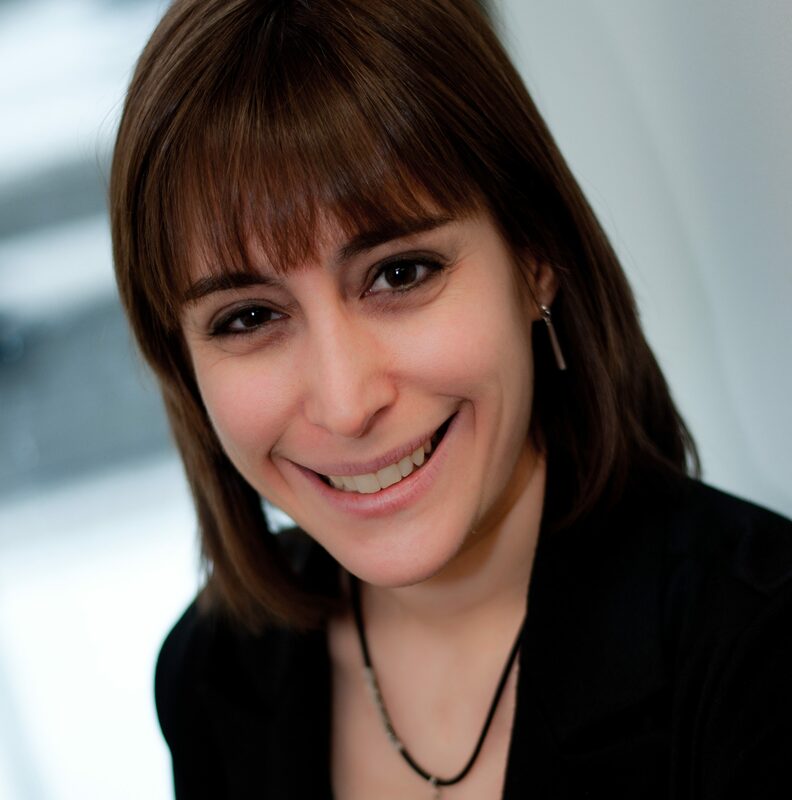 Jaime Greenspan, M.ADS, BCBA, is a Supervisor of the Behaviour Therapy Program at Children’s Support Solutions. She earned a Masters of Applied Disability Studies, with a specialization in Applied Behaviour Analysis (ABA) from Brock University in 2017. Jaime also earned an Honours B.A. in Psychology from Wilfred Laurier University in 2013. She became a Board Certified Behaviour Analyst in 2017. 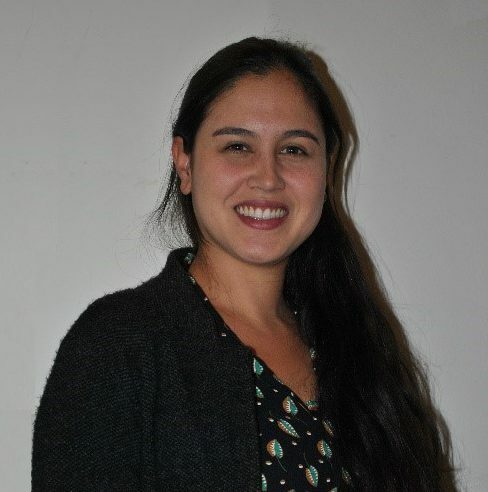 Jaime is also a member of the Ontario Association for Behaviour Analysis (ONTABA) and continues to develop her skills by attending workshops, conferences, and seminars throughout the year. 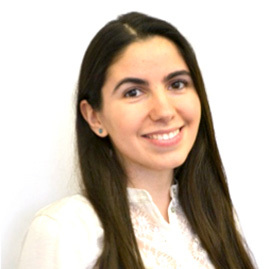 With particular expertise in Autism Spectrum Disorder, Jaime has over six years of experience working in the field of ABA with children and youth diagnosed with developmental disabilities. Jaime has more than 3 years of experience creating and monitoring training programs for therapists, caregivers, and other professionals. She also has over four years of experience working collaboratively with other professionals, including teachers, SLPs, and OTs. In her approach to therapy, Jaime stresses the importance of creating individualized treatment plans for her clients. Based on the strengths and areas of need, she works collaboratively with clinical teams to develop comprehensive or focused programming for each of her clients. Jaime enjoys working collaboratively with groups and being able to learn and grow professionally from colleagues. During her downtime, Jaime enjoys reading, spending time outdoors and travelling. 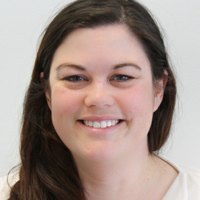 Keltie is a registered Occupational Therapist in Ontario with over seven years of experience working in pediatrics. She provides professional support to children with a variety of special needs. She earned a Master of Science in Occupational Therapy (OT) from Dalhousie University in 2008. 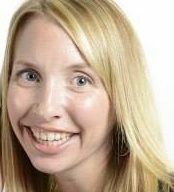 Keltie has experience working with children with a wide range of conditions including ADHD/ADD, Autism Spectrum Disorder, Cerebral Palsy, Global Developmental Delay, Down syndrome, Motor Delay, Spina Bifida, Sensory Processing Disorder and Learning Disabilities. Keltie has completed training in Therapeutic Listening, sensory integration, complex feeding treatment and is an Assistive Devices Program (ADP) Authorizer in Ontario for mobility devices. When working with clients Keltie believes it is imperative for there to be inter-professional collaboration and inclusion of family in the ‘team’. In addition, she believes it is important to have thorough assessments, re-assessments and to create goals that children can master. She takes great pleasure in seeing children accomplish something they’ve been working on and celebrating with them. To Keltie building strong therapeutic relationships with kids and their families is essential. Outside of work, Keltie enjoys a variety of volunteer opportunities, most recently travelling to Trinidad and Tobago with the University of Toronto as an OT supervisor where she supervised four OT students at a school for children with developmental disabilities. She also volunteers with the St. John’s Ambulance Therapy Dog program visiting in the community each week. 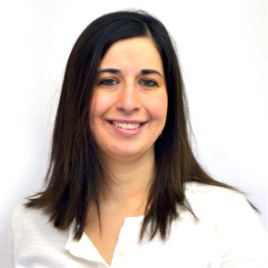 Sara Marchese is a Clinical Director who is part of the Operations team that supports Children Support Solutions. Sara has been with Morneau Shepell, in various capacities, for nearly two decades. She has a Master of Arts in counselling psychology from McGill University. Sara brings extensive expertise and experience to her role as a clinician and Clinical Director, including counselling and psychotherapy in short and long-term formats, cognitive behaviour therapy, solution-focused therapy, and interpersonal psychoeducational programming. She is also responsible for the overall planning, monitoring, management, implementation and evaluation of clients at Children Support Solutions. She ensures that her teams do their utmost to assist families and children achieve their potential. « I enjoy mentoring people and helping them lead productive and fulfilling lives as employees within the organization. Anything I can do to enrich their experience and support them as they help others, is my privilege, » said Sara. In her time away from work, Sara enjoys spending time with her (hilarious) children and husband, dreaming about new places to travel to, and trying not to get to absorbed in world political events. 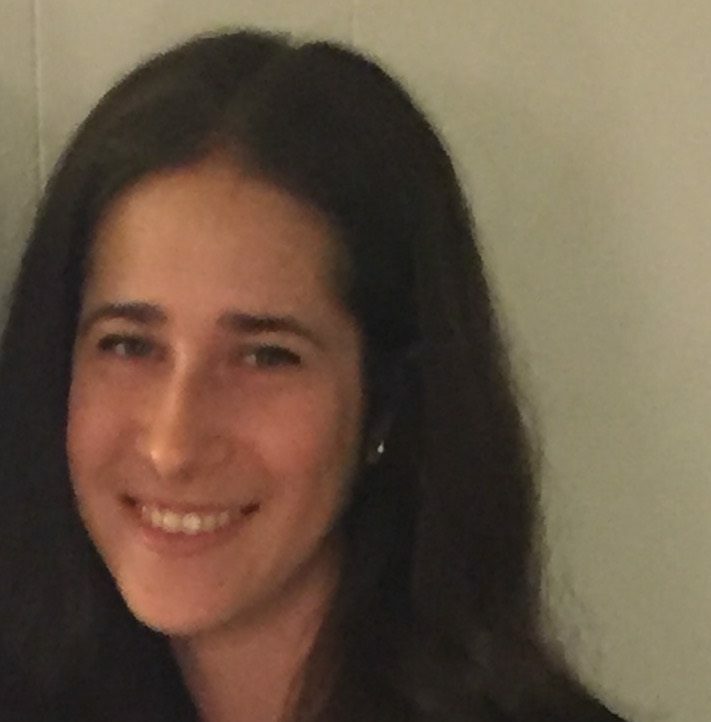 Shauna Markowitz, M.ADS, BCBA, has ten years’ experience working with children with autism spectrum disorder (ASD). She earned a Masters of Applied Disability Studies with a specialization in Applied Behaviour Analysis (ABA) at Brock University in 2010. She became a Board Certified Behaviour Analyst (BCBA) in October, 2010. She earned a B.Sc. in Psychology at the University of Western Ontario in 2005. Shauna has experience helping children with different abilities but her main focus is on ASD. Shauna uses ABA to help learners acquire new skills such as language acquisition, conversation skills, life skills, academics, and social skills. She believes that with ABA there is no « one size fits all » form of treatment. She customizes each intervention based on the learner’s skill set, needs, preferences, interests and family situation. Shauna has seen how early intervention and intensive treatment can lead to great outcomes. Being a Behaviour Therapist allows Shauna to combine her passion for the profession with her compassion for children and their families. Helping comes naturally to Shauna; both her father and sister are in helping careers and so it is no surprise to see her follow in that tradition. Lynn Hawkins, M.A., C. Psych. 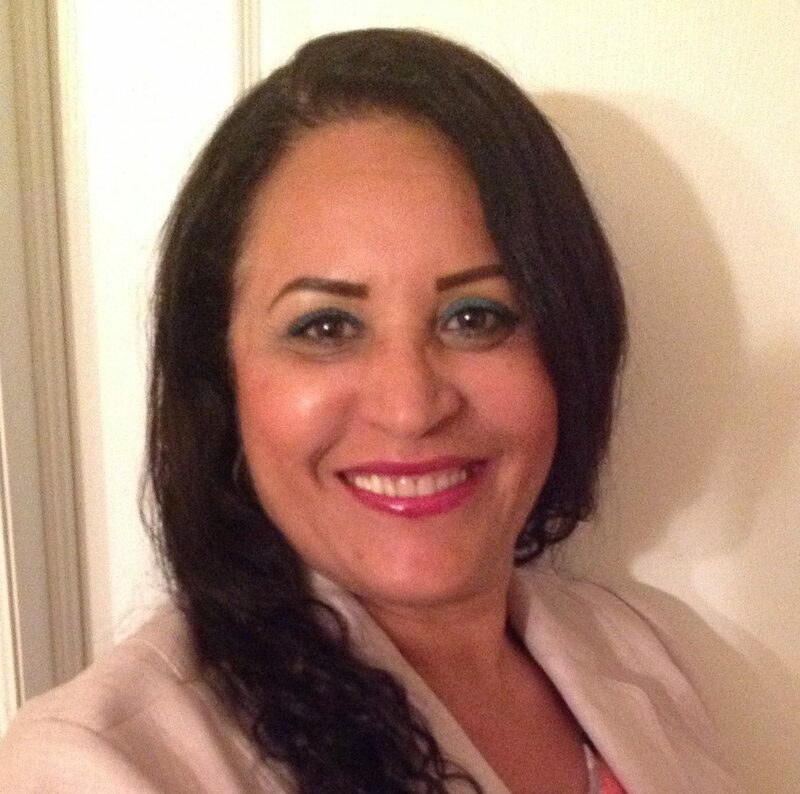 Valda Lopo is a Psychologist with over 20 years experience in the field. She has a PhD in Philosophy from Brazil, and an M.A. in Psychology from Adler University in Chicago. She is also certified in Mindfulness for Chronic pain and as a Capacity Assessor by the Ministry of the Attorney General. Bilingual in English and Portuguese, Valda can provide psychological assessments and treatments to patients in both languages. Her specialities are in working with Tourette syndrome, Down syndrome, Global Development Delay, Intellectual Disability and Chronic Pain. She also has particular expertise in ADHD, Anxiety/Mood Disorder, Autism Spectrum Disorder, Depression, Learning Disabilities, Oppositional Defiant, Obsessive Compulsive Disorder, and William Syndrome. Valda prides herself on treating patients with sensitivity and care. She ensures that any cultural considerations or concerns are approached with compassion when working with children and their families. Passionate about what she does, Valda also sees the benefits of collaborating with others. In the past, she has worked together with Behavioural Therapists, Occupational Therapists, Speech Language Pathologists and Physicians to create a thorough treatment plan for patients. Moving forward, Valda is proud to be able to continue helping clients in reaching their full potential. Gail McCoubrey is a fluently bilingual Clinical Psychologist from Quebec City who has been a registered Psychologist since 2007. She earned her Doctorate in School and Applied Child Psychology from McGill University. Her research has led her to work with communities throughout Quebec. This experience has contributed to her solid empirical background in reading development, cognitive ability, and language development among bilingual students. Since moving to Ontario in 2014, Gail has worked in both the public and private sectors. 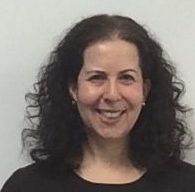 As a member of the clinical team at Children’s Support Solutions, Gail’s work includes the provision of comprehensive psychological assessments in English or French for children and adolescents who present with academic and behavioural challenges. Gail aims to help her clients understand the underlying factors that contribute to their struggles and to streamline school- and home-based recommendations that are consistent with best practices in her discipline. Gail McCoubrey est une psychologue clinicienne parfaitement bilingue originaire de Québec et membre en règle de son ordre professionnel depuis 2007. Elle est titulaire d’un doctorat en psychologie scolaire et en pédopsychologie appliquée de l’Université McGill. Ses activités de recherche l’ont amenée à travailler dans des collectivités partout au Québec. Cette expérience lui a permis d’acquérir des bases empiriques solides en apprentissage de la lecture, en capacité cognitive et en développement du langage chez les élèves bilingues. Depuis son déménagement en Ontario en 2014, Gail a travaillé dans le secteur public comme dans le secteur privé. Dans le cadre de son travail au sein de l’équipe clinique de Parcours d’enfant, Gail effectue notamment des évaluations psychologiques complètes en anglais ou en français auprès d’enfants et d’adolescents aux prises avec des problèmes scolaires et comportementaux. Gail s’efforce d’aider ses clients à comprendre les facteurs sous-jacents à leurs difficultés et d’harmoniser les recommandations qu’ils doivent suivre à l’école et à la maison, conformément aux pratiques exemplaires de sa discipline. Lynn Hawkins has over a decade of experience, with a Masters of Arts in Clinical Developmental Psychology from York University. She is a certified applied suicide intervention skills trainer, has done extensive studies in the areas of bullying and adolescent dating violence, and has published journal articles in these areas. With over 14 years of experience working with children and adolescents, Lynn specializes in Psychoeducational assessment. She is experienced in the assessment of Specific Learning Disabilities, Giftedness, Intellectual Disabilities, Attention Deficit Hyperactivity Disorder (ADHD), Autism Spectrum Disorder, and Anxiety Disorders. Lynn also has expertise in behavioural assessment, and intervention/management. 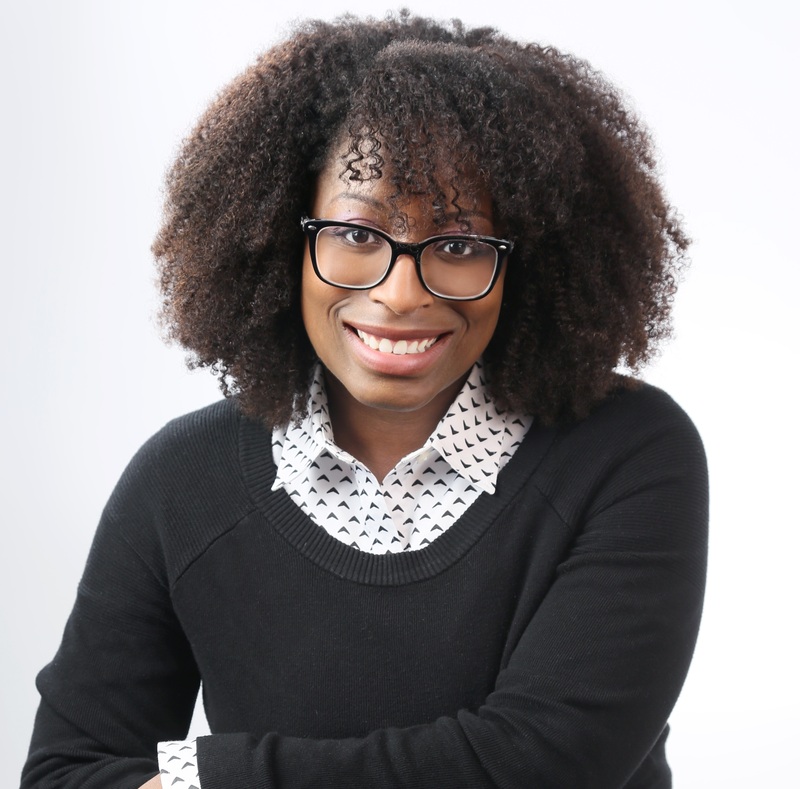 In addition, she has extensive knowledge regarding the Ministry of Education’s criteria for identification, Individual Education Plans (IEP), and the process of identification, as the majority of her experience comes from working within a school board context. Lynn knows the importance of helping clients understand their learning strengths and needs. This understanding is essential in helping clients learn how to use those strengths to compensate for their weaknesses. « I have always been interested in helping children overcome obstacles and work to their potential. Being able to put the pieces of a puzzle together for my clients and help them move forward is an incredibly rewarding experience, » said Lynn. Monica Lazarescu is a Psychological Associate who earned her Master’s degree in Analytical Psychotherapy at University of Bucharest, Romania. Registered with the College of Psychologists of Ontario, and she is also a member of Ontario Association of Psychological Associates. Monica’s great passion is helping her clients explore ways to make changes in their lives that will allow them to look forward to the future with hope. Monica provides her clients with a warm, nonjudgmental environment and a safe place to explore the issues that may be preventing them from living the life they want. Monica provides comprehensive psychoeducational, psychodiagnostic and behavioural assessments for children and adolescents. She develops recommendations and programs specifically tailored to the student’s learning style to help them perform optimally in school. 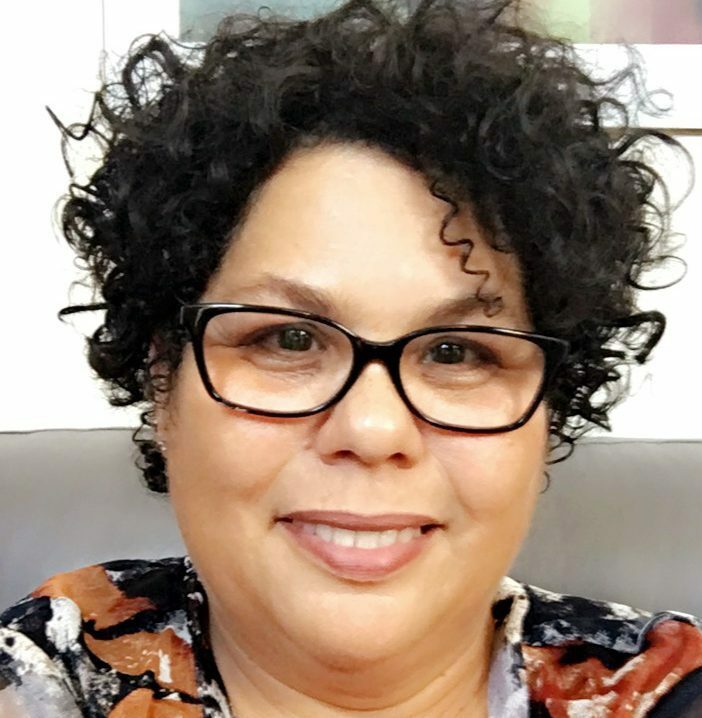 Trained in therapeutic modalities, including attachment therapy, psychodyanamic therapy, and cognitive-behaviour therapy, Monica believes in using a collaborative model of psychotherapeutic care. She has been helping children, adolescents and adults deal with anxiety and depression, grief and bereavement, relationship difficulties, personal growth issues, healthy work/life balance, and life transitions. In her day-to-day life, Monica enjoys spending time with her family, planning trips and reading outdoors. 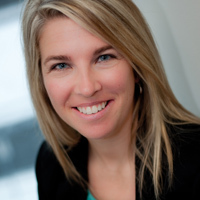 Nicole Haughton has over five years [DC1] of experience working in school boards in Ontario. She earned a Master of Education in Counselling Psychology at Western University in 2007[DC2] . She has experience with ADHD/ADD, Autism Spectrum Disorder, and Learning Disabilities. Nicole’s approach involves not only looking at the behavioural and academic struggles that students or parents come in with, but also looking at the surrounding influences so that informed decisions and recommendations can be made. She loves making positive connections with children and adolescents. Seeing students who are otherwise disengaged, open up and realize their potential keeps her energized. 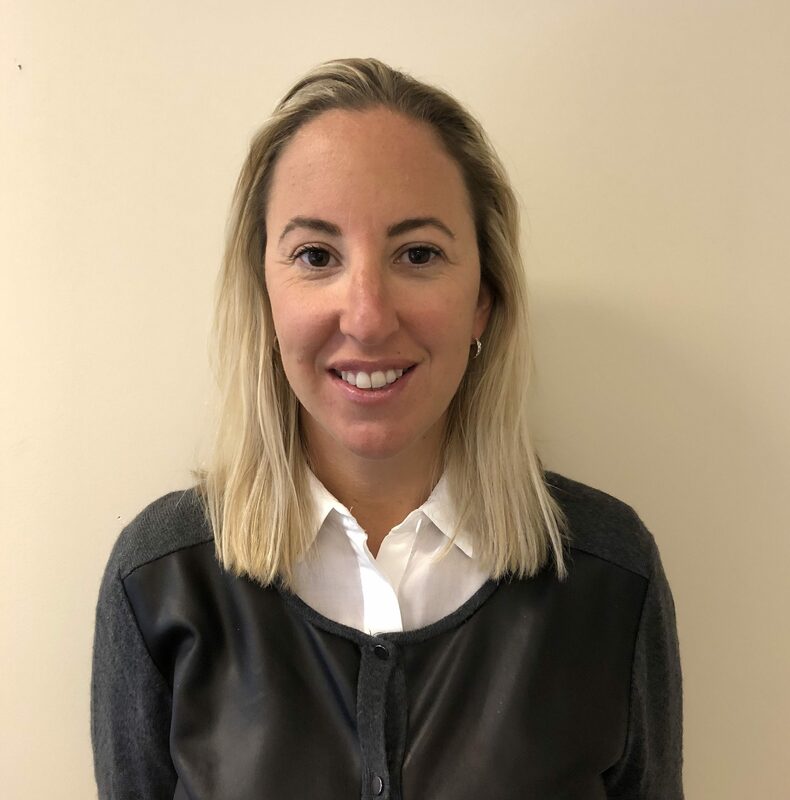 At Morneau Shepell Nicole is part of a multidisciplinary team, she enjoys work closely with teachers, medical practitioners, speech and language pathologist, occupational therapists, and physiotherapists. This team approach leads to the best outcomes for children and their parents. She loves to travel and stay active; Nicole will go out for a run or bike ride whenever she can. Dr. Samuel Siah, Licensed Child & Youth Psychologist who works with children and youth aged 6-18. Dr. Siah has particular expertise with Autism Spectrum Disorder diagnostic assessments. He has a passion for identifying, managing and treating learning and mental health challenges that affect children and youth’s ability to learn, manage their emotions and thrive. Dr. Siah enjoys consulting and collaborating with other clinicians as well as school staff that are involved in supporting individuals and their families. As well as in-person psychological interventions, he is also actively involved in online therapy and learning (also known as tele-counselling) at Morneau Shepell. 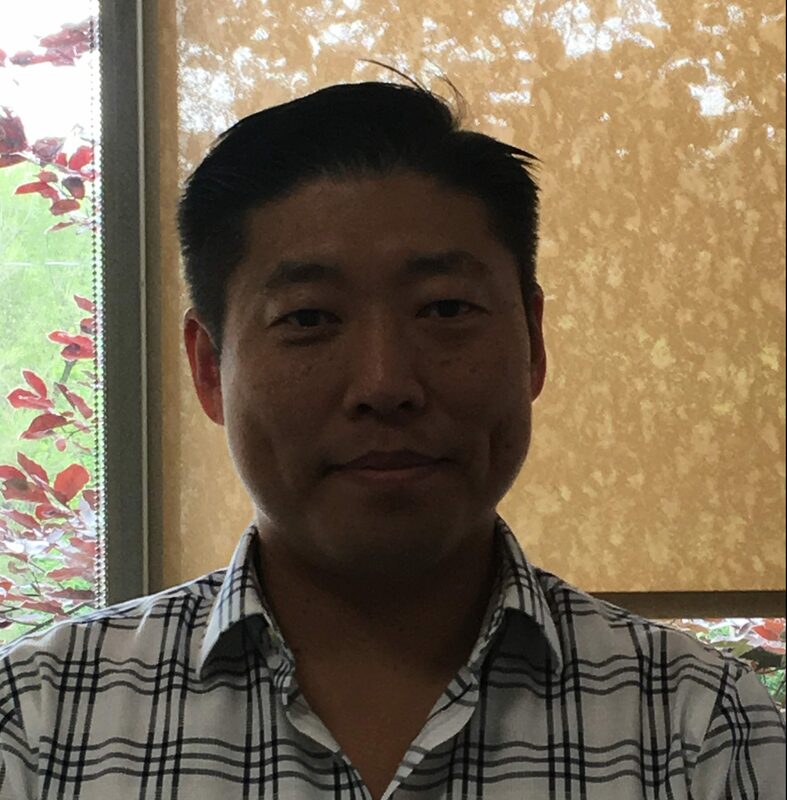 Dr Thomas Rhee is a Registered Child Psychologist at Children’s Support Solutions who received his PhD in Clinical-Developmental Psychology from York University in 2009. 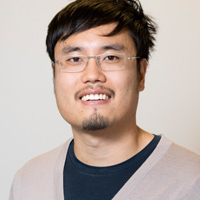 His primary area of research interest involves the cognitive abilities and memory skills in children with Autism Spectrum Disorder (ASD) and Intellectual Disability, and he has presented his work across various international conferences. 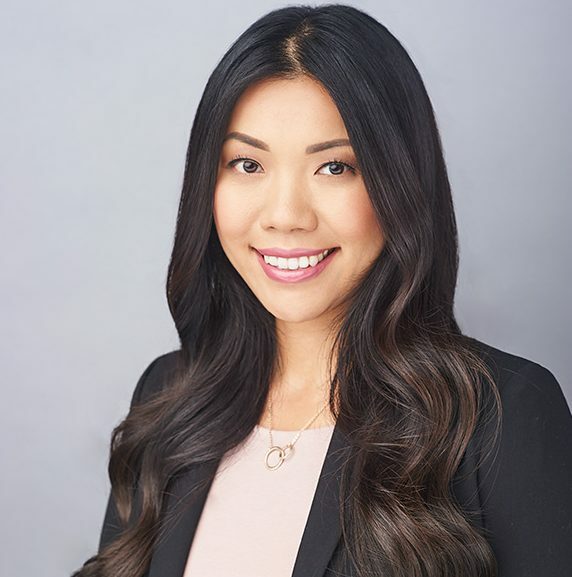 As a psychologist at Children Support Solutions, Dr Rhee provides an assessment to children suspected of having Autism Spectrum Disorder and other neuro-developmental conditions, and (schedule permitting) individual therapy to school-aged children. He has expertise in the evaluation of Autism Spectrum Disorder, Intellectual Disability, Learning Disabilities, and ADHD. His clinical interests include treatment of anxiety disorders using a modified cognitive behavioural therapy (CBT) approach with higher-functioning children and youth with ASD. Specialization: Assessment of children aged 13 and under for the following concerns: Autism Spectrum Disorders (including previous Asperger Syndrome subtype), Intellectual Disability, Learning Disabilities, ADHD, giftedness, behaviour, and social/emotional disturbances. 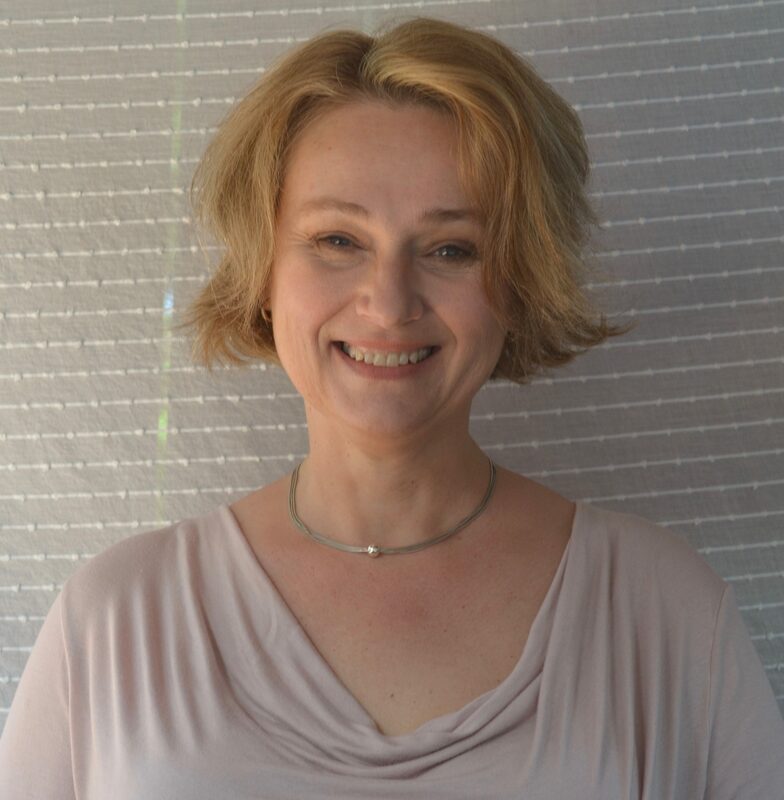 Vesna Vucicevic is a registered Psychological Associate with over 17 years’ experience working with children and adolescents. She completed her Master’s Degree in School and Child Clinical Psychology from the Ontario Institute for Studies in Education and The University of Toronto in 1998. She has also been registered with the College of Psychologists of Ontario since 2014. Vesna is trilingual; she speaks English, French and Serbian. Being an immigrant to Canada herself, she has a personal connection to the many challenges of our diverse communities. She has experience working with children with a wide range of conditions including ADHD/ADD, Autism Spectrum Disorder, Anxiety/Mood Disorder, Cerebral Palsy, Global Developmental Delay, Down syndrome, Learning Disabilities, Speech-Language Delay, and Oppositional Def. Vesna takes great pleasure in assisting children and youth with an understanding of the causes of their challenges. She believes that this is the first step towards appropriate recommendations and sourcing the best outcomes. When working with clients Vesna hopes to gain a better understanding of individual’s strengths and weaknesses that as a result leads to enhanced self-esteem as well as a better sense of hope for the future. 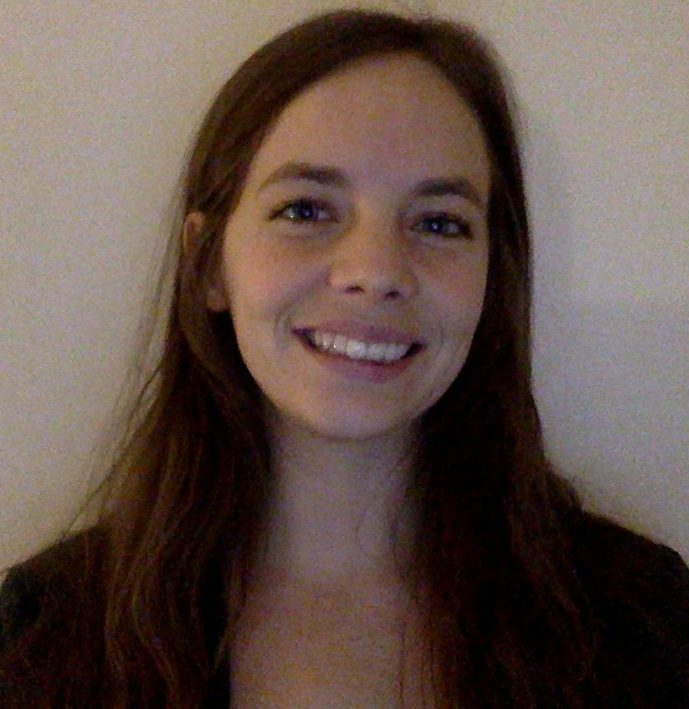 Aviva Bauer is a Speech Language Pathologist with over a decade of experience working with pre and elementary school-aged children in both Canada and the United States. Her specialities include Autism Spectrum Disorder, Global Developmental Delay and articulation difficulties. She also has particular expertise in Speech-Language Delay. Before coming to Morneau Shepell, Aviva worked as a Speech Language Pathologist in both the public and private elementary school system in Los Angeles and Beverly Hills. Upon returning to Toronto, she began working in the public school system with elementary age children, and with Morneau Shepell. She has always loved working with young children and wanted to work with them on a more personal level to improve their communication skills. Aviva knows the success of a multidisciplinary approach, and will sometimes co-treat children with behaviour therapists to help tackle challenging behaviours. Her goal is to establish a warm, caring connection with the children she see’s to ensure they enjoy coming to the sessions. « What brings me the most joy professionally is when parents tell me that their children love coming to the clinic and the sessions and that they can successfully apply techniques they have learned with me at home with their children, » said Aviva. Lauren Robinson started working as a registered Speech-Language Pathologist in 2012. She earned a M.Sc. Communication Sciences and Disorders at Emerson College in Boston and is a certified member of the College of Audiologists and Speech-Language Pathologists of Ontario and the American Speech-Language-Hearing Association. Previous to completing her Masters degree, Lauren attended McGill University where she studied Cognitive Science. Lauren has extensive experience working with children of all ages and abilities with a variety of cultural and linguistic backgrounds. These include but are not limited to Autism Spectrum Disorder, Down syndrome, Learning Disabilities, Dyslexia, Speech-Language Delay, Articulation, Phonological Disorders, Apraxia, Acquired Brain Injury and Deaf and Hard of Hearing Auditory Rehabilitation. 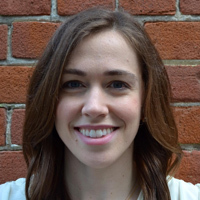 Lauren has completed additional training in several areas of her clinical interests including literacy and reading intervention as well as treatment approaches for Apraxia and Phonological Disorders. In her role at Morneau Shepell, Lauren empowers children with the power of language and communication. She loves the smiles on children’s faces when they overcome challenges, such as saying their name for the first time or reading their first book independently. She firmly believes in family centred care and works tirelessly to improve the way children communicate and interact with their families, peers and larger communities. Lauren enjoys being part of an interdisciplinary team, working with other Speech-Language Pathologists, Occupational Therapists, Behaviour Consultants, Teachers and client families. She believes a team approach is most beneficial and leads to the highest quality of care. Speech-Language Therapy is not Lauren’s only talent, she’s also ridiculously good at puzzles. 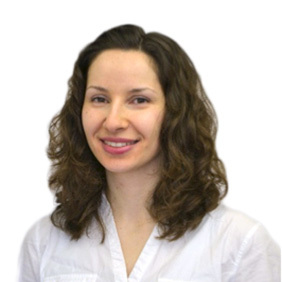 Mirjana Belcevski has extensive experience as an accredited and practicing Speech-Language Pathologist. She earned a Master in Speech Language Pathology at La Trobe University (Australia) in 2009 and a B.A. Psychology at the University of Western Ontario in 2003. She has completed training in PECS (Picture Exchange Communication System), has attained level 2 in PROMPT therapy (Prompts for Restructuring Oral Muscular Phonetic Target), and has training in baby sign language with WeeHands. Mirjana has additionally attended workshops that focus on assisting children who struggle with stuttering and/or have oral motor speech challenges. 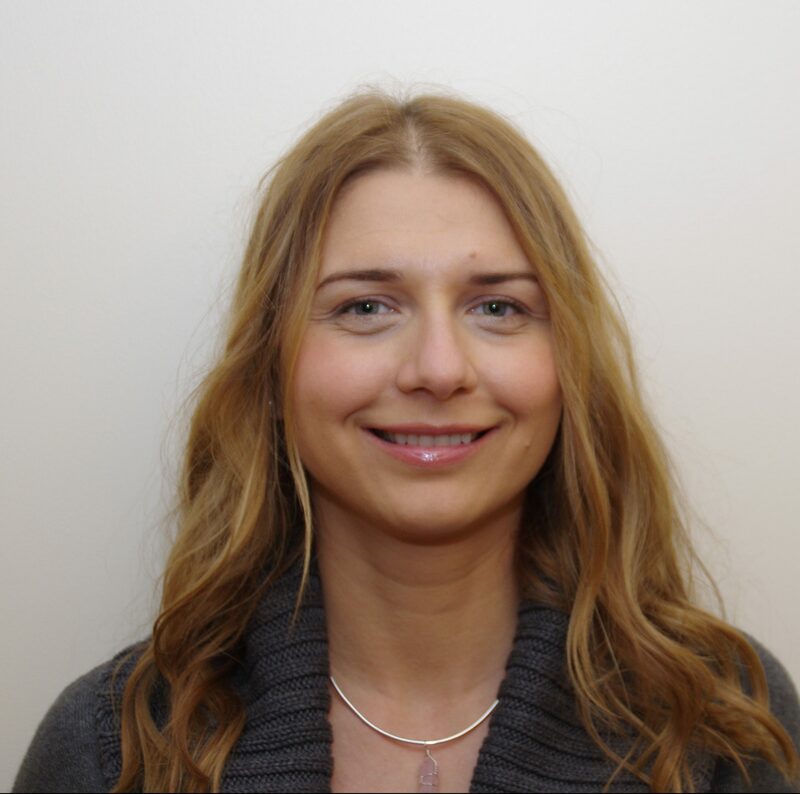 At Morneau Shepell, Mirjana is part of an interdisciplinary team and works within a diverse clinical team which includes behaviour therapy, occupational therapy, physiotherapy and psychology. She has experience working with children who have a diagnosis of Autism Spectrum Disorder, Global Developmental Delay, Down syndrome, and Speech-Language Delay. As a Speech-Language Pathologist Mirjana strives to help families better communicate with their children and support those children to communicate in their world. The foundation of her approach is to start by asking “What motivates this child?” and engaging the child by using those motivators. Mirjana believes it is important to look at the whole child and their family and work to find ways to improve communication in all aspects of their lives, not just at the clinic. Outside of work Mirjana loves to dance (salsa, free style, house dance). She also loves to read, practice yoga and best of all joke around. Prathamesh Bailoor has been working as a Speech Language Pathologist since receiving his Master’s Degree from Manipal University in India in 2012. Since then, he has worked extensively with numerous clinical populations in schools, rehabilitation clinics, and hospitals, including the Justice K.S.Hegde Charitable Hospital in India, as well as teaching as an Assistant Professor at Nitte University in India. 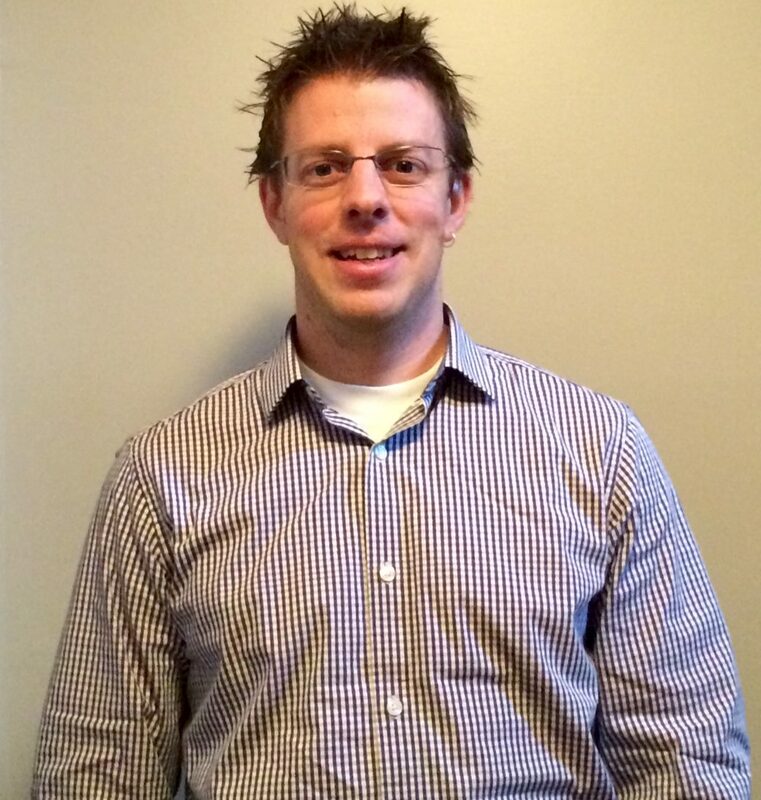 He is currently registered with the College of Audiologists and Speech-Language Pathologists of Ontario (CASLPO) and has received a Credential Certificate from the International Institute of California in 2014. He previously worked in Vancouver, British Columbia before relocating to Ontario in 2017. Prathamesh has a remarkable passion for working with children. He has developed extensive clinical skills through his work with preschool and school-aged children, assessing and treating articulation, receptive and expressive language, fluency, social communication, and literacy impairments. He has also worked with children with learning disabilities and complex developmental disabilities and has dealt with Adult Neuro Communication disorders including Aphasia, Dysarthria and Traumatic Brain Injury. Prathamesh believes in family-centred practice and the importance of group therapy. « The fact that I can make a difference in the quality of an individual’s communication in their everyday life is what inspires me to become better. To be a part a team that makes an individual feel a part of society is what brings me the utmost happiness as far as my profession is concerned, » said Prathamesh. Besides English, Parthamesh is fluent in written and spoken Hindi as well as the regional languages of India, Kannada and Konkani. 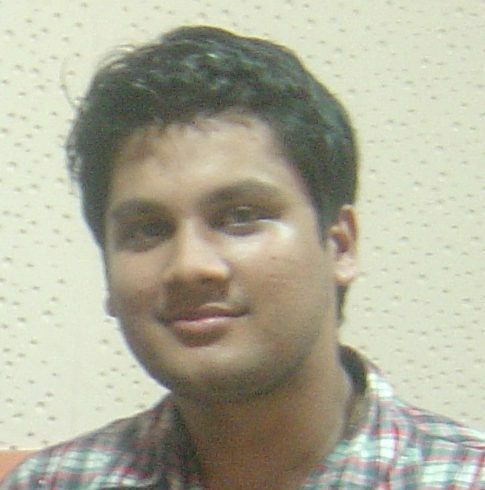 When not working, Prathamesh is an avid sports lover and enjoys swimming, tennis and football or soccer. Saima Latif is a Speech-Language Pathologist with a Masters degree from Clarion University. She has been working with children with special needs ages 2-18 for over a decade. Her specialities are in working with clients with ADHD, Down syndrome, Global Development delay, Cerebral Palsy and Autism spectrum disorder, with particular expertise in Speech-Language Delay and Motor Delay. 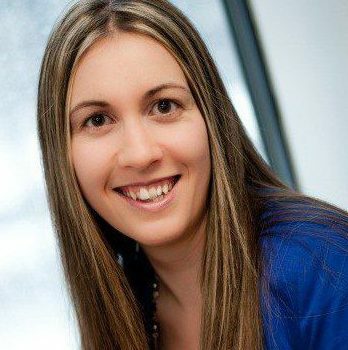 She follows an eclectic approach to therapy – drawing from a variety of specialized training, including Oral Placement Disorders (Level 2), Myofunctional Disorders, Hanen certified for It Takes Two to Talk®, Cued Articulation, the Lidcombe program, and Applied Behaviour Analysis to name a few. She is also trained in PROMPT (introduction and bridging) and Kaufman Speech to Language Protocol for the treatment of Apraxia. 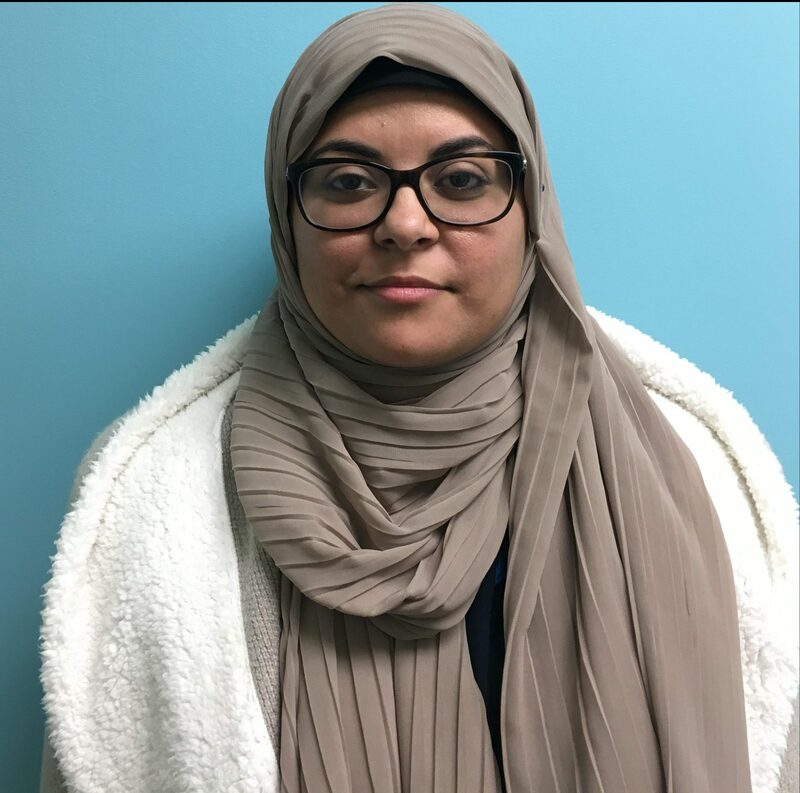 Saima uses a multi-sensory approach and adapts her therapy sessions to her clients’ unique learning style. She optimizes learning by using preferred toys/activities as reinforcement, sensory bins and movement breaks. This allows clients to be excited about learning in various contexts and has a better likelihood of achieving their goals. « I believe in client and family-centred therapy. It brings me immense joy to individualize therapy as per my clients’ interests through fun and creative activities, which results in better outcomes, » says Saima. Outside of the therapy room, Saima enjoys spending time with her family, travelling, and CrossFitting. 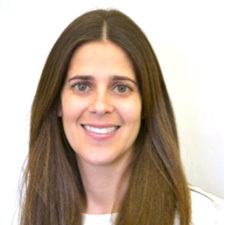 Jennifer Halfin is a registered physiotherapist working in the field of pediatrics for the last seven years. She graduated with a Master’s of Science in Physical Therapy from McGill University, receiving the Canadian Physiotherapy Association’s Pediatric Division Award for achievement in pediatrics. Jennifer Halfin est une physiothérapeute œuvrant dans le domaine de la pédiatrie depuis sept ans. Elle a obtenu une maîtrise en physiothérapie de l’Université McGill et reçu le prix de la division pédiatrique de l’Association canadienne de physiothérapie pour ses réalisations dans ce domaine. Jennifer travaille auprès d’enfants de tous les âges, les aidant à progresser normalement sur le plan de la motricité grâce à une variété d’approches thérapeutiques, y compris la méthode Cuevas MEDEK (niveau II), la thérapie neurodéveloppementale, et divers autres cours de formation continue. Elle possède une vaste expérience dans le traitement du torticolis, de la plagiocéphalie, du retard moteur, de la paralysie cérébrale et des troubles génétiques, et aime effectuer un suivi de ses clients au fil des ans pour continuer à soutenir leurs progrès. En tant que mère de deux jeunes garçons, Jennifer adore incorporer le jeu dans ses séances et est toujours très énergique. Suivez-la sur Instagram @mykidsphysio afin de découvrir des façons amusantes de favoriser le développement de votre tout-petit! 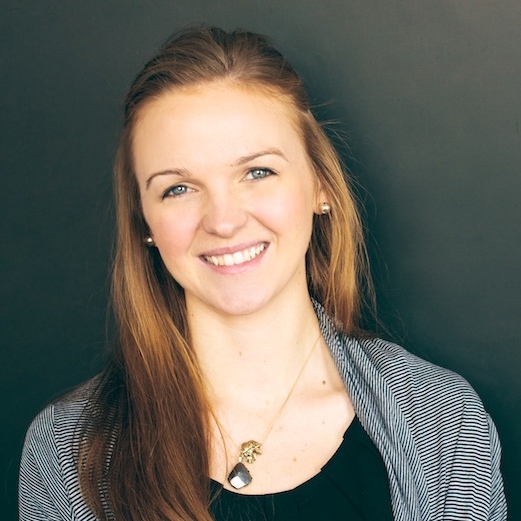 Ashley has extensive experience as an Occupational Therapist working with pediatric clients. 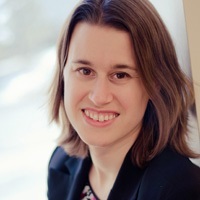 She earned a Masters in Occupational Therapy at the University of Toronto in 2010 and a Bachelor of Health Science from the University of Western Ontario in 2007. 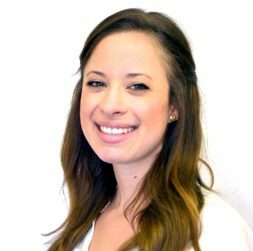 As an Occupational Therapist, Ashley focuses on helping clients achieve independence in all areas of their lives. She not only addresses the physical well-being of clients, but also the psychological, social and environmental factors that can affect a child’s independence. She has experience working with children who have a diagnosis of ADHD/ADD, Autism, Cerebral Palsy, Global Developmental Delay, Down syndrome, Learning Disabilities, Fine and Gross Motor Delay, and Sensory Processing Disorder. Ashley emphasizes an interdisciplinary approach with her clients, working in close collaboration with Psychologists, Physiotherapists, Speech and Language Pathologists, and Behavioural Therapists. 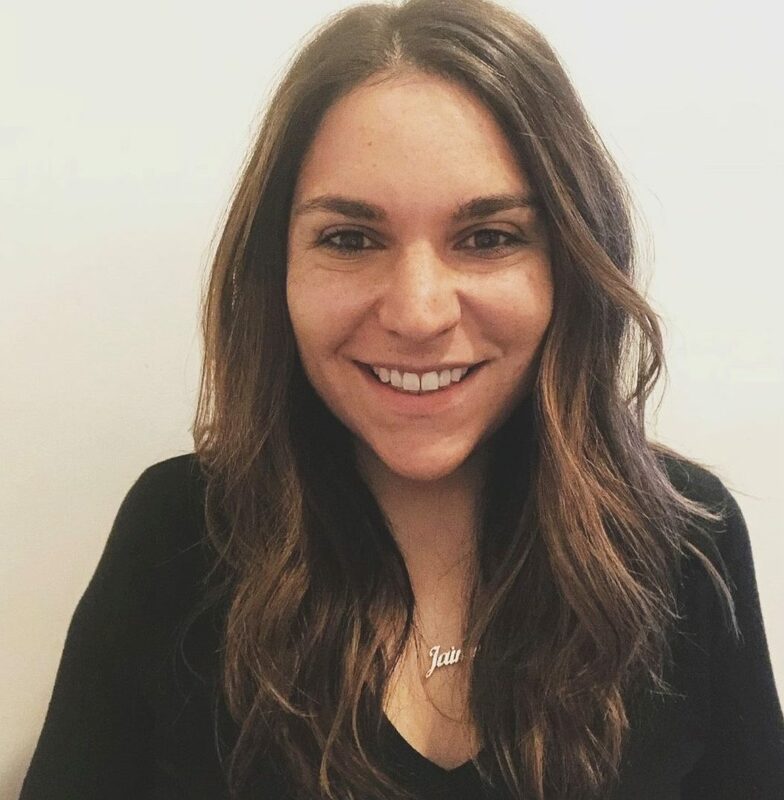 Ashley is Level 2 certified in Oral Placement Therapy (OPT) and has training in Therapeutic Listening, QuickShifts, Handwriting Without Tears, The SOS Feeding Approach, The Zones of Regulation and is certified as a COGMED Coach. 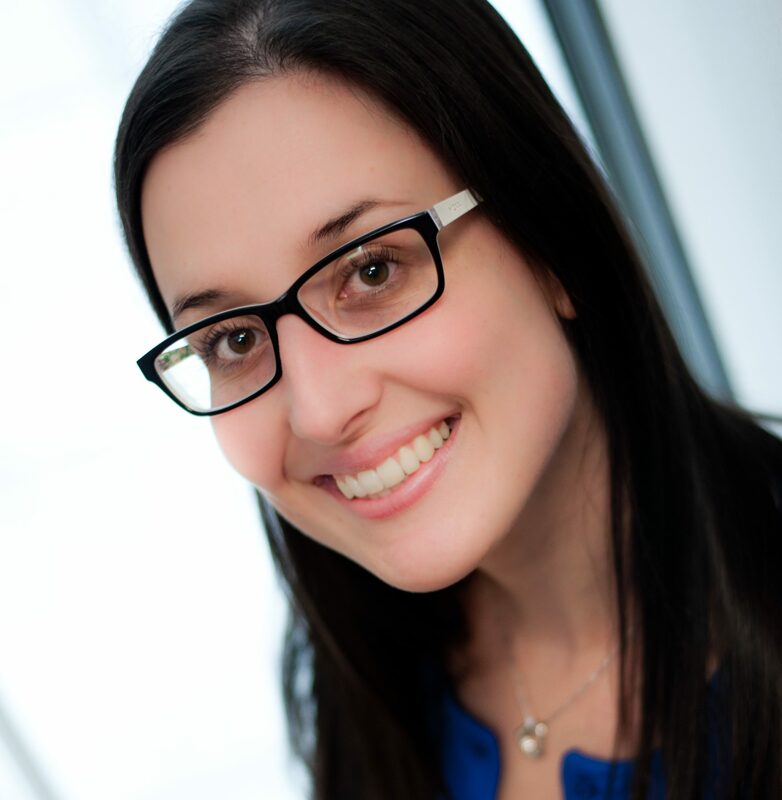 Ashley is an Occupational Therapist in Ontario with extensive experience in pediatrics. She earned a Master of Occupational Therapy Studies at the University of Queensland, Australia in 2009 and an Honours B.A. Psychology with a specialization in Child Development at McMaster University in 2007. She has experience working with children within a wide range of diagnoses including Autism Spectrum Disorder, Global Developmental Delay, Motor Delay, Sensory Processing Disorder, Cerebral Palsy, various Genetic Disorders and Down syndrome. Ashley has completed Level 3 certification for Oral Placement Therapy (OPT), as well as having training in Constraint Induced Movement Therapy, complex feeding issues, Handwriting Without Tears, and Sensory Integration therapy. As an Occupational Therapist, Ashley helps children participate in activities that are important to them. For kids, this often includes getting dressed for school, brushing their teeth, feeding themselves and playing. Her treatment approach includes giving children the right tools to manage themselves effectively in the classroom, in social settings or at home. When working specifically with children who have feeding difficulties, she uses various sensory, motor and behavioural strategies to help improve eating and child nutrition. Ashley helps to support the development of safe and effective feeding skills and also helps families improve the mealtime experience with their children. 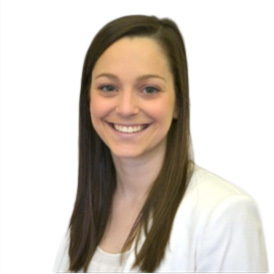 Ashley is an active member within the interdisciplinary team, engaging with Physiotherapists, Speech and Language Pathologists and Behavioural Therapists as well as teachers and parents, to support each child in being the best that they can be. Dina has more than 15 years’ experience working with kids with disabilities. She earned a Master of Occupational Therapy at the University of Toronto in 2008 and a B.Sc. (Hons) of Physical Education and Health/ Kinesiology at the University of Toronto in 2006. She also participated in a 20/20 documentary: “Teen Locked in Body, Unable to Speak”. She has experience in ADHD/ADD, Anxiety/Mood Disorder, Autism Spectrum Disorder, Cerebral Palsy, Global Developmental Delay, Learning Disabilities, Motor Delay, Oppositional Defiant Disorder, and Obsessive Compulsive Disorder. 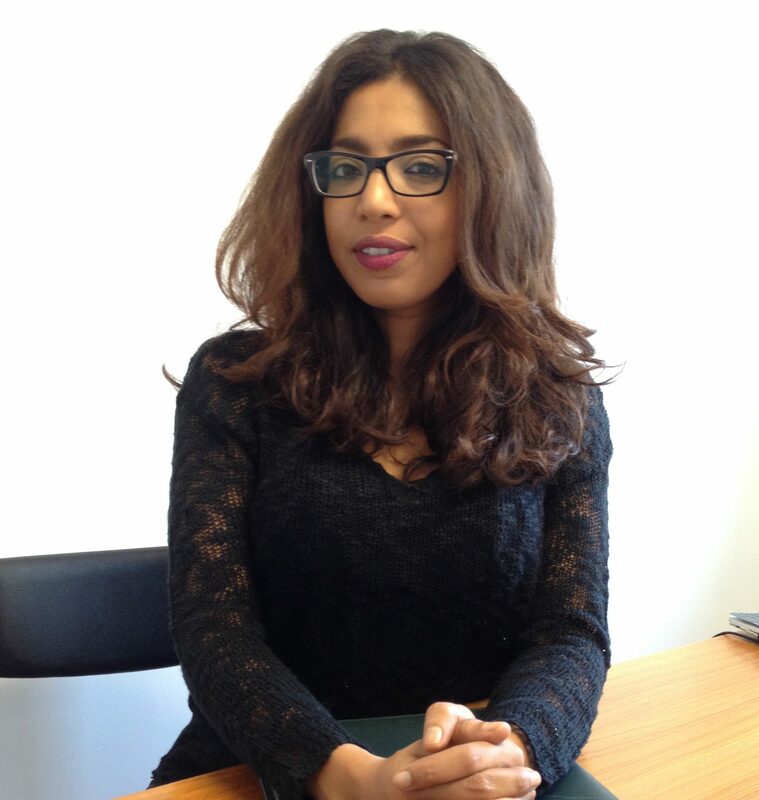 Dina is also trained in Cognitive Behaviour Therapy (CBT). In her role as an Occupational Therapist, Dina helps children learn how to master the ‘occupations’ that are important to them and their families: school, play, and daily living skills. Her greatest pleasure is when a child is able to do something that they thought they never could learn to do. Her approach is to mix a sweet and fun-loving style with enough rules and structure to help kids achieve their goals. Dina is part of a multidisciplinary team and often works with Behavioural Therapists, Speech-Language Pathologists and Physiotherapists. She is also the lead Occupational Therapist at Brighton School and consults to the Geneva Centre in Toronto. She loves to travel the world. One great experience was spending three weeks in Tanzania, camped in the Serengeti, sleeping in a Masi village and visiting an orphanage (where she, thanks to the help of Morneau Shepell families, donated toys, clothes, and school supplies). Dina loves animals and hopes one day to breed and train dogs for kids with Autism. 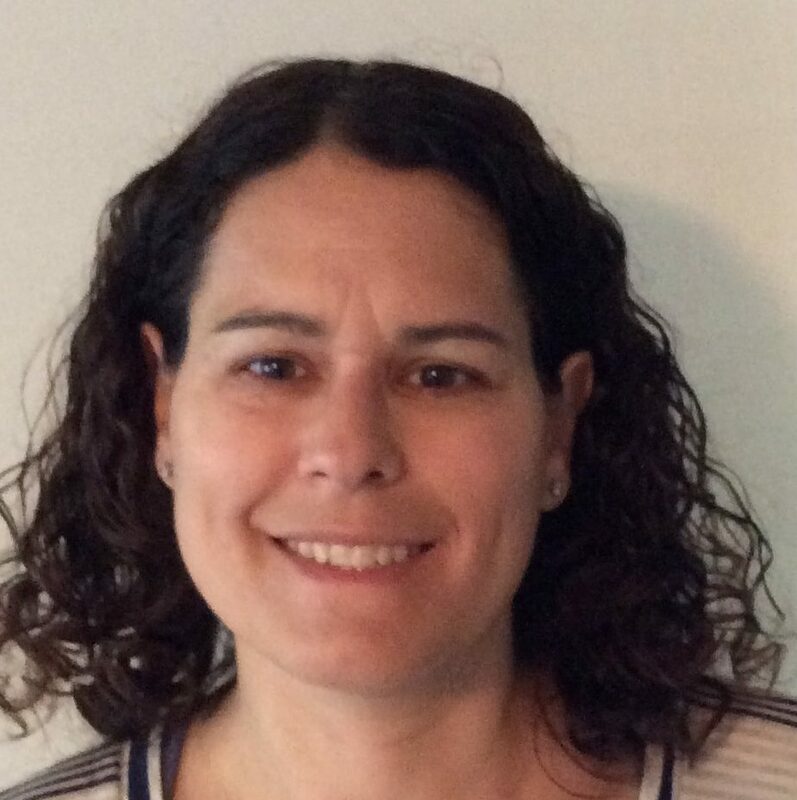 Laura Goldenberg has been working as a registered Occupational Therapist for over 15 years. 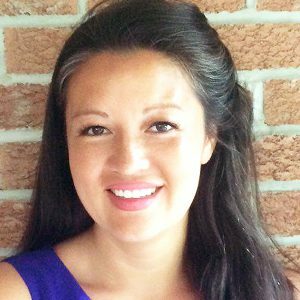 She is a graduate of the school of Medical Rehabilitation, Occupational Therapy from the University of Manitoba, and has received a Bachelor of Arts in Psychology from the University of Winnipeg. She has also furthered her education by taking six different courses in Sensory Integration and Sensory Processing. Her specialities are in working with children following their development from early childhood to being young adults. 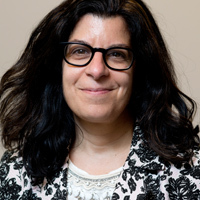 She also has particular expertise in working with individuals with Autism Spectrum Disorder, Cerebral Palsy, Global Developmental Delay, Down syndrome, Muscular Dystrophies, Learning Disabilities, Motor Delay, Sensory Integration Disorder, Spina Bifida, and William Syndrome. Laura knows that each family is different and has unique requirements and capabilities. Her client-centred approach ensures that the needs of each family are satisfied, whether it be in customizing home modifications and skills or collaborating with a team in other disciplines. In fact, Laura frequently works with Physical therapists, Speech Language Therapists, Behaviour therapists, MDs, teachers, and home health care workers to ensure each client gets the best outcome. « In my youth used to work as a camp counsellor and later as a camp director. These camps integrated children with disabilities into their programs. Seeing those children succeed in the mainstream is what inspired me to pursue Occupational Therapy. My most important accomplishment to date has been running summer programs like that one for teens to increase life and independence skills, » said Laura. I am motivated by seeing my clients gain the skills they need to function independently. Laura is the mother of 3 young girls who is constantly pushing and inspiring her to do better. Suzanne is an Occupational Therapist with several years of experience providing occupational therapy services in school related environments and private practice. 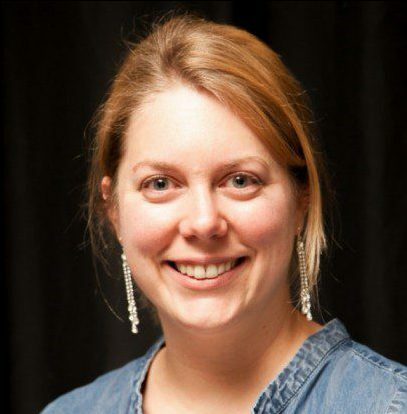 She earned a Master’s of Science (Occupational Therapy) at Dalhousie University in 2010. She has experience working with children with AD/HD, Anxiety/Mood Disorder, Autism Spectrum Disorder, Cerebral Palsy, Global Developmental Delay, Down syndrome, Learning Disabilities, and Motor Delays. At Children’s Support Solutions she is happiest seeing clients exude confidence and pride when they learn a new skill. She knows that as they develop their potential they can participate in the activities that are most meaningful to them. Suzanne is a big believer in an interprofessional approach to treatment because it ensures clients get well-rounded recommendations. In her work she often collaborates with Physiotherapists, Psychologists, Behavioural Therapists and Speech-Language Pathologists as well as teachers and parents. She was introduced to helping people with special needs in her youth when she volunteered for an adapted sport/recreation program for young people with physical disabilities. Seeing such a positive change in the athletes in just a few months was so incredible that she applied to study occupational therapy. Her studies led to a Master’s degree and her career at Morneau Shepell. Being from Prince Edward Island she loves being by the water. To stay active she enjoys cross country skiing, yoga and swimming. 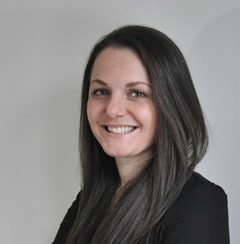 Courtney is a Supervising Senior Therapist and Consultant with over 10 years of experience in the field. She earned a Bachelors of Art at York University in 2002. In addition to her degree she has been trained in Sign Language and Crisis Prevention. She has particular expertise in ADHD/ADD, Anxiety/Mood Disorder, and Autism Spectrum Disorder. Over the course of her career she has gained experience with a wide range of conditions including Acquired Brain Injury, Cerebral Palsy, Global Developmental Delay, Depression, Down syndrome, Learning Disabilities, Speech-Language Delay, Sensory Integration Disorder, Oppositional Defiant, Obsessive Compulsive Disorder, William Syndrome, Tetrasomy 18P and Jacobson’s Syndrome. Courtney creates very individualized programs, using assessments to pinpoint what treatment will help her clients succeed. In her experience, catering a program utilizing client’s strengths can make all the difference in the world. Seeing clients make progress keeps her inspired. She enjoys seeing them reach their potential to communicate, integrate into the community, and become socially and emotionally aware of their surroundings. Sometimes, simply entering the room to see a client smiling is inspiration enough. 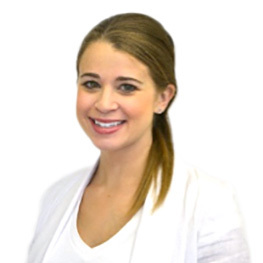 Courtney works as part of a highly skilled team and collaborates with Occupational Therapists, Physiotherapists, Speech-Language Pathologists, Psychologists and General Family Practitioners. She also works with various funding agencies. Outside of work she likes to play with her four-legged friends or curl up on the couch with a book full of brain games. 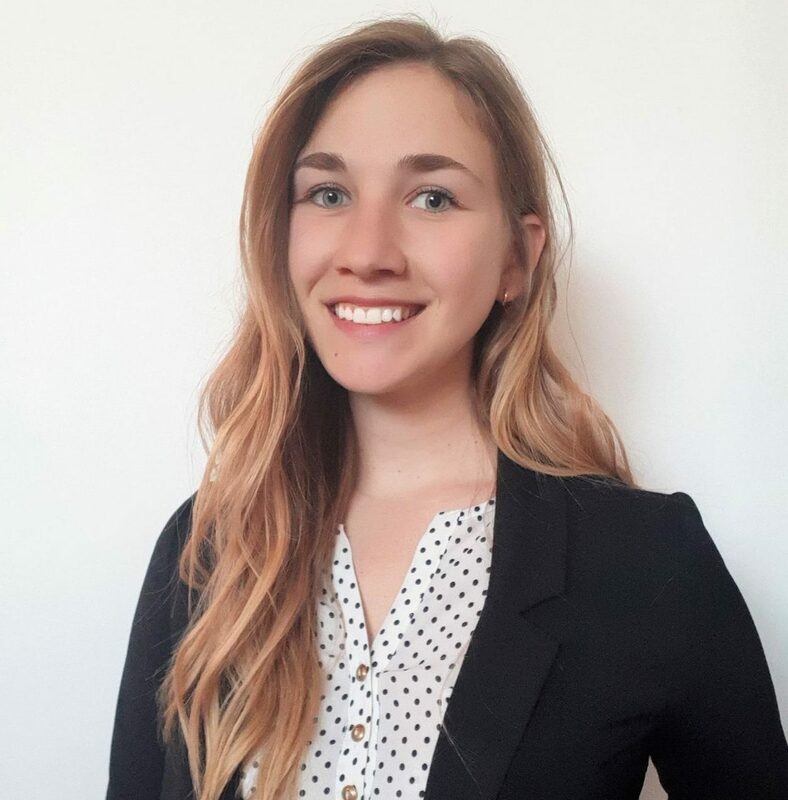 Emily earned a Masters of Applied Disability Studies (M.ADS) from Brock University in 2014 and is currently working toward her Board Certified Behaviour Analyst (BCBA) designation. She has worked in the field of Applied Behaviour Analysis (ABA) for seven years. Emily takes great pride in ensuring every moment with her clients is a teaching opportunity, and that learning becomes fun! Her hope is that she makes a difference by celebrating her client’s accomplishments, no matter how small. Nothing makes her feel more joy professionally than seeing the pride in a child’s face when they accomplish a goal or learn something new. When not at work Emily likes to unwind by going to the cottage and teaching her dog new tricks. 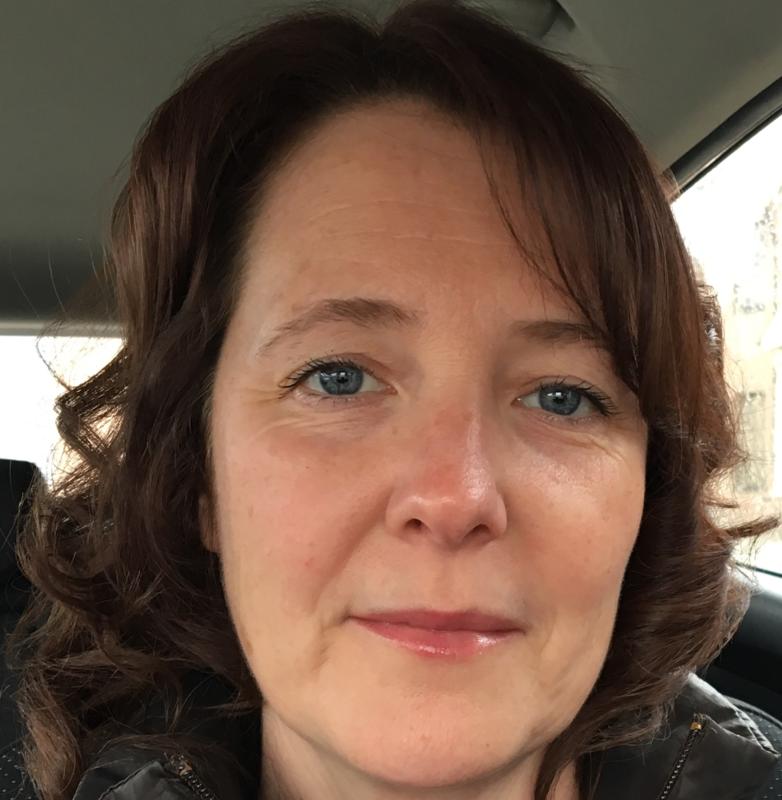 Kim Desoisa is a Behavioural Therapist with nearly two decades of experience; five of which were spent working as a Senior Therapist/Supervising Behaviour Consultant, and 15 as an Instructor Therapist working with children on the Autism Spectrum. She has a Master’s of Science in Psychology and is a Board Certified Behaviour Analyst (BCBA). She feels very passionate about her field and how it can help many children and people reach their fullest potential. Kim is dedicated to making learning fun and thinks it is essential for parents and caregivers to be involved in the sessions so that they can carry skills over into the home and community settings. Her specialities are working with ADHD, Global Development Delay, and Sensory Integration Disorder. She also has particular expertise in Autism Spectrum Disorder, Speech-Language Delay and Learning Disabilities. When working with a child, Kim first completes an assessment and designs a skill acquisition program based on the individual child’s strengths and weaknesses. From there, she monitors progress through regular visits and data review. She also can develop behaviour intervention plans if necessary to increase or decrease a particular behaviour based on direct observations of the child. Kim is passionate about what she does and enjoys collaborating with others. In the past, she has worked together with Occupational Therapists to encourage a child to be more self-regulated, Speech-Language Pathologists to motivate a child to request what they want when they want it, and with teachers to help children learn in group settings. « I find it so rewarding to see the little and big changes that occur as a result of a program I have put into place. My goal is always to help teach a child activities or behaviours that they couldn’t do before, » said Kim. When not working, Kim enjoys the outdoor life with her family. They frequently go boating, water skiing, snowmobiling, downhill skiing and anything else you can do outside! Ling Ly Tan has been working as a Board Certified Behaviour Analyst for over 15 years. She has a Masters of Applied Disability Studies that she received in 2010, and has been a Board Certified Behaviour Analyst since 2011. Her specialities include working with individuals ranging from infants at risk all the way up until adulthood, from severe to high functioning individuals diagnosed with autism, developmental disabilities and other behavioural disorders. She also has particular expertise in working with individuals with ADHD, or Autism Spectrum Disorder. Ling is extensively trained in the application of Skinner’s Analysis of Verbal Behaviour to teach language and communication. Her knowledge and experience also extend to naturalistic and relationship-based interventions such as the Early Start Denver Model (ESDM), and Pivotal Response Treatment (PRT). Ling’s passion is to help children reach their full potential, and she frequently collaborates with psychologists, speech therapists, occupational therapists and school staff to do just that. She believes that collaboration and communication among other professionals are integral so that learning continues beyond therapy sessions. When she is not working, Ling enjoys painting, surfing and yoga. Sophia earned a Graduate Diploma in Behavioural Science Technology (with Honours) at George Brown College in 2012 and a B.Sc. in Psychology and Anthropology (with Honours) at the University of Toronto in 2010. She focuses on working with children with Autism Spectrum Disorder and Learning Disabilities. Sophia recognizes that each child has specific strengths and challenges and targets programs towards what works best for each child. Being part of a committed team makes her work a pleasure and she finds great joy in being with kids with special needs. In fact, from a young age she had a passion for working with children with special needs, helping them overcome challenges and reaching their full potential. Outside of work Sophia is a fan of music, books and movies. 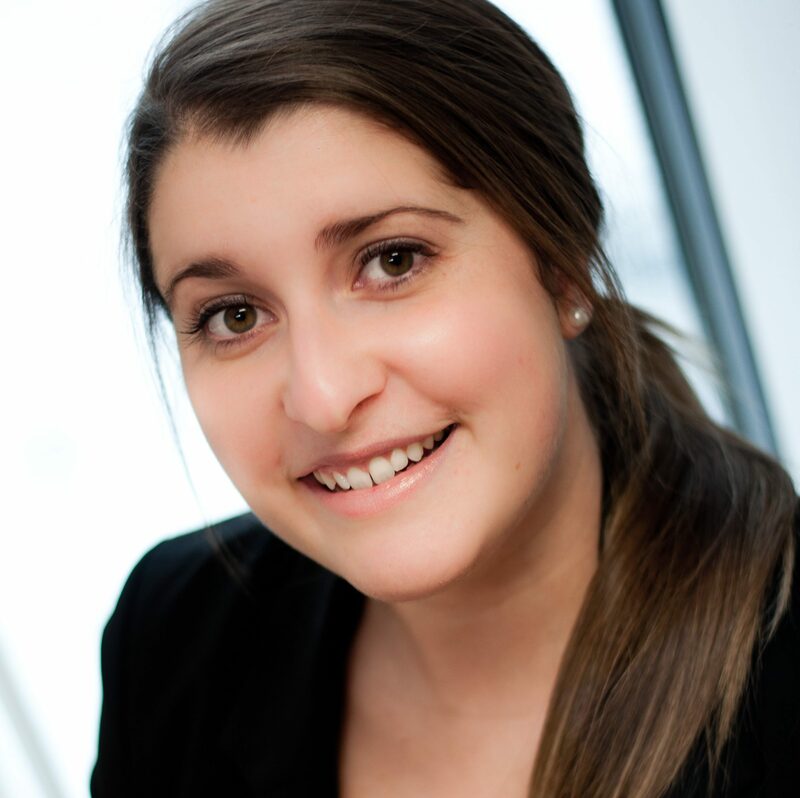 Currently, Sophia is working towards her Master’s degree in Applied Behaviour Analysis. Ann and Karen Wolff are Educational Consultants with over 40 years of experience working in the public school system between the two of them. Ann is a retired teacher with over 25 years of experience working from Kindergarten to grade eight, while Karen is a high school teacher with 18 years of teaching expertise. Together they are a force to be reckoned with, a mother-in-law/daughter-in-law team who share the same last name and the same passion for helping others. They work to help students become successful lifelong learners by always considering the whole child – socially, emotionally and academically. Before working with Morneau Shepell, Ann was a Special Education Resource Teacher, Literacy Coach and Adjunct Professor. She worked in all areas of Special Education to guarantee the needs of each student were met, including identifying and programming for the child’s strengths and needs by developing Individual Education Programs, and ensuring that each student received appropriate instruction. Karen has also worked with a variety of exceptional students at the high school level. She served as the Curriculum Leader of Achievement for Caring and Safe Schools and is an expert in designing curriculum to meet the social, emotional and academic needs of students. Ann and Karen offer a variety of services, including academic assessments, school placements, Individual Education Program writing, and transition planning and support. They also observe students in class and attend school meetings, working with students and their families to address concerns and create an individualized blueprint for future accomplishments. Together, they are proud of the success stories that they have helped to write. Catherine Norsworthy a complété sa maitrise en orthophonie en 2007. Avant avoir obtenu sa maitrise à l’université McGill à Montréal, elle a complété un diplôme en linguistique et un certificat d’enseignement d’anglais comme langue seconde à l’université Carleton à Ottawa. Elle est membre de l’Ordre des orthophonistes et audiologistes du Québec et d’Orthophonie et Audiologie Canada. Elle est membre active d’OAC et a participé aux comités des membres de l’organisation. Catherine a de l’expérience dans une variété de milieux, incluant des écoles, milieux de garde, hôpitaux, et en clinique, en anglais et en français. À Montréal, elle a profité des opportunités de rencontrer des enfants et familles de diverses contextes culturelles et linguistiques. Elle s’intéresse particulièrement à l’intervention précoce, travaillant avec des jeunes enfants ayant des troubles développementaux tels que l’autisme, retard de développement, trouble développemental du langage, et des troubles de l’articulation et la phonologie et la dyspraxie verbale. Elle s’intéresse également au développement du langage et la littératie chez les enfants d’âge scolaire. Catherine vise toujours à aider ses clients à découvrir le pouvoir du langage et le plaisir de communiquer. Ainsi, elle tient compte des objectifs de la famille et des intérêts de l’enfant pour pouvoir bâtir un plan d’intervention qui permettra à l’enfant de développer des habiletés fonctionnels de communication, tout en s’amusant! Catherine croit également en l’importance du travail multidisciplinaire afin de soutenir l’enfant et la famille dans leur intégralité. Catherine adore la lecture et possède une énorme bibliothèque comprenant toutes sortes d’œuvres. Elle aime aussi le tai-chi, la course à pied, et le tricot. Catherine Norsworthy has been working as a Speech-Language Pathologist since 2007. Prior to completing her Master’s degree in Speech-Language Pathology at McGill University in Montreal, she earned an Honours B.A. in Linguistics and a Certificate in the Teaching of English as a Second Language from Carleton University in Ottawa. She is a certified member of both the Ordre des orthophonistes et audiologistes du Québec and Speech-Language and Audiology Canada. She is an active member of SAC and has participated in volunteer committee work for the organization. Catherine’s clinical experience has included work in a variety of settings, including schools and day cares, hospitals, and in the clinic, working in both English and French. Working in Montreal, she has had the opportunity to work with children and families from a variety of cultural and linguistic backgrounds. She has a particular interest in early intervention, working with young children who have developmental delays, including autism spectrum disorder, global developmental delay, language disorder, and speech-sound disorders including childhood apraxia of speech. She is also interested in language and literacy development in school-age children. At work, Catherine’s goal is always to help her clients discover both the power of language and the joy of communication. This means working with the family’s goals and the child’s interests in order to build a therapy program that will allow the child to develop useful communication skills and achieve his or her full potential – and have fun doing it! Catherine also believes in the importance of multidisciplinary cooperation in order to support the whole child and the whole family. Catherine loves to read, and has a ridiculously large collection of books, spanning everything from classic novels to nonfiction to sci-fi and comics. She also enjoys tai chi, running, and knitting. Diplômée de l’Université de Montréal et orthophoniste chez Morneau Shepell depuis 2012, Marie travaille principalement avec la clientèle d’âge préscolaire et scolaire présentant des difficultés de langage oral, de langage écrit et de parole. Elle intervient également auprès des jeunes qui évoluent dans un contexte multilingue. Elle se déplace fréquemment dans les écoles et les milieux de garde afin d’intervenir auprès des enfants directement dans leur milieu de vie. Son calme, sa douceur et sa patience font d’elle une orthophoniste bien appréciée des enfants. Marie aime aussi échanger et partager ses connaissances avec les parents et les autres intervenants par le biais de formations offertes dans différents milieux. Soucieuse du travail bien fait, elle réalise tous ses projets avec passion et est toujours prête à relever de nouveaux défis. Elle occupe d’ailleurs un nouveau poste de répondante clinique depuis septembre 2017, qui l’amène à prendre en charge certaines tâches administratives. Titulaire d’un baccalauréat en éducation spécialisée de l’Université du Québec à Rimouski, Valérie Hudon, membre de l’ équipe de direction clinique de Parcours D’enfant, a développé une maîtrise en intervention éducative pour enfants et adolescents en difficulté. Valérie voit à la gestion, au soutien et à la formation de l’équipe des orthopédagogues de Parcours d’enfant, et assure le développement des services en orthopédagogie au sein de l’entreprise. Également, elle offre ses services en tant qu’experte-conseil et de formatrice à de nombreuses organisations. Dynamique et engagée, Valérie sait être à l’écoute des besoins de la clientèle et s’assure d’être toujours à l’affut des avancées technologiques et des outils développés afin de bonifier les méthodes d’intervention. Amélie Massé détient une maitrise en psychoéducation de l’Université de Montréal. Dans la pratique, elle intervient auprès d’une clientèle variée en enfance et adolescence. Actuellement en formation en gestion des entreprises sociales et collectives, Amélie utilise ses connaissances en ce domaine pour coordonner les services multidisciplinaires chez Parcours d’enfant (volet 0-5 ans) où elle analyse les besoins des milieux, collabore auprès des directions pour mettre en place des programmes personnalisés de services et ce, en tenant compte des forces de l’équipe et des particularités des enfants ayant des besoins particuliers. Son approche systémique met en avant plan l’implication et la mobilisation des éducatrices, des familles et des professionnelles de la santé dans l’atteinte du développement optimal des individus et des organisations. Beryl est une interne en psychologie-neuropsychologie dynamique et passionnée ; présentement elle fait un programme d’équivalence pour devenir membre de l’OPQ. Son envie de porter assistance à autrui et son intérêt pour la psychologie cognitive l’ont mené à suivre l’enseignement de l’Université de Chambéry. Après l’obtention de sa licence en France, elle a complété son parcours universitaire par une maîtrise en psychologie et neuropsychologie des perturbations cognitives à l’Université Aix -Marseille. De nombreuses mises en situation lui ont permis de développer ses capacités d’évaluation, d’écoute et de soutien de la personne que ce soit auprès de grands traumatisés crâniens ou de personnes obèses et/ou diabétiques. Par ailleurs, ses expériences dans le milieu associatif auprès de personnes atteintes de la maladie d’Alzheimer et d’enfants atteints Trouble de spectre de l’autisme lui ont appris l’importance de favoriser la stabilité de l’environnement quotidien de la personne suivie. Le soutien et la collaboration avec l’entourage est donc une priorité dans l’accompagnement de ses patients. Marie-Eve est psychologue chez Parcours d’enfant depuis 2010. Elle travaille également dans l’équipe de santé mentale jeunesse du CLSC d’Hochelaga-Maisonneuve auprès d’une clientèle variée. Elle est spécialisée en évaluation et intervention auprès des enfants, des adolescents et des familles. Elle est réputée pour être chaleureuse, bienveillante et organisée. Grâce à son sens de l’observation et à travers les approches psychodynamique et systémique, elle développe une analyse fine de l’univers psychique et relationnel du patient. Avec une vision empathique, elle travaille autant en prévention qu’en intervention au plan de la santé mentale. Selon les besoins et les groupes d’âges, elle travaille avec les entrevues, les dessins et la thérapie par le jeu. Finalement, elle accorde une grande importance à la multidisciplinarité et accorde une place prépondérante au travail d’équipe et à la collaboration avec les partenaires dans sa pratique. Psychoéducateur et psychothérapeute accrédité par l’ordre des psychologues du Québec, Charles possède plus de quinze années d’expérience en intervention auprès des jeunes et leurs familles. Au cours de sa carrière, il a eu la chance de nourrir sa passion pour le travail clinique au sein de différents milieux, et ce en passant par l’intervention en situation de crise familiale, par la construction de la parentalité auprès de couple en situation de vulnérabilité, jusqu’aux élèves présentant des difficultés d’apprentissage et de comportements. Charles s’est joint il y a quatre ans à l’équipe de Morneau Shepell où il occupe les fonctions de psychoéducateur, de psychothérapeute et de responsable de la clinique de Terrebonne. Ingrid Abitan, psychoéducatrice bilingue, a obtenu son Baccalauréat en Arts, psychologie de l’Université McGill et sa Maitrise en Sciences, Psychoéducation de l’Université de Montréal. Ingrid est membre de l’Ordre des psychoéducateurs et psychoéducatrices du Québec. Ingrid créer un lien d’alliance et de confiance avec les enfants et adolescents souffrant de divers difficultés: anxiété, dépression, stresse, divorce parentale, difficultés de comportements (colère, agressivité, opposition), difficultés d’apprentissages (TDAH) ainsi que favoriser les habiletés sociales, l’estime de soi et les habiletés parentales. Ingrid a travaillé dans plusieurs garderies, écoles primaire et secondaire privées, venant en aide non seulement aux élèves mais aussi aux enseignants, directeurs et parents. Ingrid croit fortement que les meilleurs résultats sont obtenus en travaillant avec l’environnement immédiat de l’enfant. Ingrid a aussi animé plusieurs ateliers de groupes sur divers thèmes qui incluent le développement de l’estime de soi, les habiletés sociales et l’intimidation, la puberté, l’alcool et les drogues, la sexualité etc. Pendant les dernières cinq années, Ingrid est intervenante à l’accueil psychosocial d’une agence communautaire et vient en aide auprès d’individus et de familles en crises. Présentement, Ingrid travail en clinique privé et aussi en milieu communautaire afin d’obtenir son accréditation pour devenir psychothérapeute. Elle a récemment complété le programme « Psychothérapie en santé mentale » accrédite Accrédité par l’Ordre des psychologues du Québec. Judith est décrite comme une psychoéducatrice engagée, dynamique et flexible dans sa pratique. Avant d’intégrer l’équipe de professionnels de Parcours d’enfant chez Morneau Shepell, elle a travaillé au cours des dernières années comme psychoéducatrice auprès des familles, au sein d’un centre intégré de santé et de services sociaux. Auparavant, Judith a contribué à l’élaboration et à la mise en action d’un projet visant à contrer l’intimidation au sein d’un milieu scolaire primaire privé. Elle a également mis sur pied un projet d’intervention en pédopsychiatrie auprès des adolescentes diagnostiquées d’un trouble alimentaire dans le cadre de sa maitrise en psychoéducation. Passionnée par sa profession, Judith cherche constamment à se mettre à jour sur les nouvelles pratiques et interventions psychoéducatives. Kimberly Underhill est une psychoéducatrice dynamique, créative et chaleureuse qui travaille pour Parcours d’enfant depuis déjà quelques années. Motivée par la relation d’aide, elle a complété une maitrise en psychoéducation à l’Université de Montréal et fait partie de l’Ordre des psychoéducateurs et psychoéducatrice du Québec (OPPQ). En intervention, elle mise sur la création d’un lien significatif dans le but de mettre à l’avant les forces de l’élève et ainsi, faciliter son adaptation scolaire et sociale. De plus, une étroite collaboration avec les parents et les différents intervenants est importante pour Kimberly et ce, toujours dans le but d’amener l’élève à réaliser son plein potentiel. Mélisande Trudel est psychoéducatrice au sein de l’équipe multidisciplinaire de Parcours d’enfant. Passionnée par le domaine de l’intervention, elle a complété sa maitrise en psychoéducation à l’Université de Sherbrooke en 2015 et, depuis, elle est membre de l’Ordre des psychoéducateurs et psychoéducatrices du Québec (OPPQ). Mélisande détient de l’expérience dans plusieurs domaines, dont les milieux préscolaire, scolaire et communautaire, ainsi que dans les CRDITED. Ses capacités d’analyse et d’adaptation, de même que ses interventions empreintes de professionnalisme, de dynamisme et de positivisme permettent à la clientèle de créer des liens rapidement et en toute confiance. Mélisande accorde de l’importance au travail en collaboration avec la famille, l’entourage et les divers intervenants. Réceptive et à l’écoute des besoins, elle mise sur les forces d’autrui et utilise sa grande créativité afin d’offrir des interventions adaptées. Geneviève Têtu a obtenu son diplôme de maîtrise professionnelle en orthophonie à l’Université de Montréal en 2008. Elle travaille auprès d’une vaste clientèle, allant du préscolaire au secondaire, autant au niveau du langage oral qu’écrit. Geneviève prend part à des formations continues afin de toujours rester à l’affût des nouveautés dans son domaine et d’élargir ses champs de compétence. C’est ainsi qu’au cours des dernières années, elle a notamment développé une expertise auprès des enfants présentant un sigmatisme et une déglutition atypique. Le travail d’équipe avec les différents intervenants et la collaboration avec les parents et les enseignants sont pour Geneviève les meilleurs ingrédients en vue d’une intervention réussie. Katherine Lefrançois-Caron est une orthophoniste passionnée par son travail et qui se distingue par son professionnalisme, son efficacité et sa créativité. Grâce à sa maîtrise professionnelle en orthophonie ainsi qu’à l’expérience acquise en clinique privée et en milieu scolaire, Katherine présente une excellente capacité à évaluer et à intervenir auprès d’un large éventail de clients. En effet, elle agit tant auprès de la clientèle préscolaire que scolaire. Les formations continues auxquelles elle a participé lui permettent de maîtriser les connaissances ainsi que les outils nécessaires à l’évaluation et à l’intervention sur les plans du langage oral, du langage écrit, de la parole et de la déglutition. Ayant complété une maîtrise en orthophonie à l’Université Laval en 2006, Geneviève Tardif est depuis ce temps orthophoniste pour les services de Parcours d’enfant chez Morneau Shepell. Membre en règle de l’Ordre des orthophonistes et audiologistes du Québec, elle a cumulé de nombreuses années d’expérience auprès de clientèles très variées d’âge préscolaire et scolaire tant en évaluation qu’en intervention. Elle fait partie de plusieurs projets de dépistage, d’évaluation, d’intervention et de soutien aux éducatrices en milieu de garde. Par sa participation à de nombreux projets spéciaux en milieux scolaires, elle a développé une expérience face aux élèves en difficultés/troubles d’apprentissage. Au fil des années, elle a développé un intérêt pour l’intervention auprès des adolescents. Geneviève a obtenu son diplôme en enseignement en adaptation scolaire à l’Université de Sherbrooke en 2017 et a ensuite commencé sa maitrise en orthopédagogie à l’Université du Québec à Montréal, qu’elle termine cette année. Cette spécialisation l’amène à développer de nouvelles compétences qu’elle met en application autant en français qu’en mathématiques. Récemment arrivée dans l’équipe de Parcours d’enfant chez Morneau Shepell, elle travaille majoritairement auprès d’une clientèle de niveau secondaire. Elle reste à l’affut des nouvelles approches qui permettent de développer des stratégies efficaces pour ainsi faciliter les apprentissages au quotidien. Pour elle, il est important de maintenir une vision positive de leurs compétences tout en considérant leurs besoins. Récemment arrivée chez Parcours d’enfant, Hélène est une professionnelle passionnée, énergique et orientée vers l’action et les possibilités. Titulaire d’un baccalauréat en éducation internationale de l’Université Simon Fraser, ainsi que d’une maitrise en didactique des langues de l’Université de la Colombie-Britannique, elle complète présentement une maîtrise en orthopédagogie à l’Université de Montréal. Hélène détient plus de 10 années d’expérience en enseignement primaire, secondaire et collégial dans des milieux très variés. Elle a aussi évolué pendant plusieurs années au sein d’organismes à but non lucratif dont Fusion Jeunesse et l’UNICEF. C’est à la lumière de ces connaissances et expériences qu’elle donne vie à son accompagnement professionnel et ses ateliers. 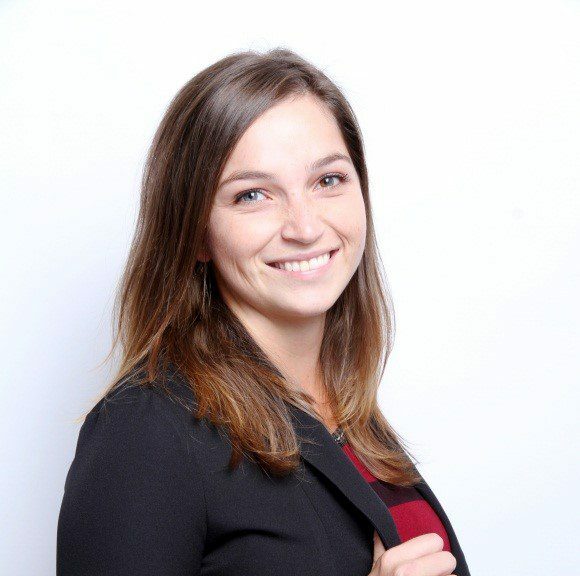 Hélène is a passionate and energetic professional who recently joined Parcours d’enfant. She completed a Bachelor in International Education at Simon Fraser University, as well as a Master of Education in language acquisition at the University of British-Columbia. She is currently pursuing a Master in “Orthopédagogie” at the University of Montreal. In addition to her 10 years of teaching experience at the elementary, secondary and college she has gained many years of experience working in the non-profit sector alongside organizations such as Youth Fusion and UNICEF. Helene’s wide range of experience allows her to bring a multidisciplinary lens to her work. Houda Nasreddine (ou Mme Houda; tel que ses élèves la surnomme), possède un Baccalauréat en psychologie avec une spécialisation dans le secteur du développement de l’enfant et une Maîtrise en éducation spécialisée de l’université de Concordia. Ses multiples travaux de recherche dans le secteur du développement de l’enfant et en éducation spécialisée, l’on menée à développer une expertise dans l’application, l’analyse et l’interprétation des interventions; toute en considérant les divers paradigmes théoriques et pratiques en psychologie de l’éducation. Ses années d’expériences l’on menée à travailler avec diverses populations d’élèves, ceux qui sont: surdoués, sur le spectre de l’autisme, sur les réserves (autochtones), à risque (milieu défavorisé) et dans les milieux multiculturelles. Mme Houda travaille aussi avec les élèves de divers niveaux scolaires; du préscolaire, du primaire, du secondaire et du Cegep. Sa passion pour l’éducation, sa détermination et son enthousiasme font qu’elle est entièrement dédiée au progrès de ses élèves. Roxanne Béliveau-Côté est une orthopédagogue passionnée évoluant chez Parcours d’enfant depuis septembre 2015. Elle détient un baccalauréat en enseignement adaptation scolaire ainsi qu’une maîtrise en orthopédagogie. Il est très important pour elle de créer une relation de confiance avec les élèves tout en misant sur une étroite collaboration avec les parents et les différents intervenants. Son but est toujours d’amener l’élève à développer son plein potentiel et de le supporter dans ses apprentissages. Son enthousiasme et sa bonne humeur légendaire font de Roxanne une orthopédagogue appréciée dans son milieu! Gillian est une ergothérapeute accréditée riche d’une vaste expérience auprès d’une clientèle pédiatrique. Elle a fréquenté l’Université McGill, où elle a obtenu une maîtrise en sciences appliquées (ergothérapie) en 2016 et un baccalauréat ès sciences en anatomie et biologique cellulaire en 2014. Gillian travaille dans les secteurs public et privé auprès d’enfants atteints de déficiences physiques et intellectuelles, notamment le trouble du déficit de l’attention avec hyperactivité, le trouble du spectre de l’autisme, la paralysie cérébrale, le trouble de l’acquisition de la coordination, le syndrome de Down, un retard global du développement, les troubles d’apprentissage, les retards moteurs, le trouble du traitement sensoriel et le spina-bifida. Lorsqu’elle travaille avec les familles, Gillian adopte une approche interdisciplinaire dans le cadre de laquelle les soins sont centrés sur la famille. En partenariat avec la famille et d’autres professionnels, elle fournit à l’enfant les outils dont il a besoin pour acquérir une plus grande indépendance dans ses activités quotidiennes. Elle a toujours adoré travailler avec les enfants, en tant que sauveteuse, bénévole ou ergothérapeute. Elle prend un grand plaisir à voir le sentiment d’accomplissement qu’éprouve un enfant lorsqu’il parvient à acquérir une nouvelle habileté. Quand elle n’est pas au travail, Gillian adore voyager et être touriste dans sa propre ville. Elle aime se familiariser avec d’autres cultures et explorer de nouveaux domaines. 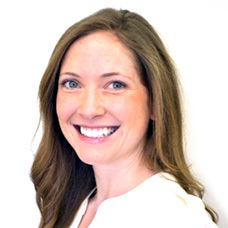 Gillian is a certified Occupational Therapist with extensive experience working with a pediatric clientele. She attended McGill University, where she earned a Masters of Science Applied in Occupational Therapy in 2016 and a Bachelors of Science in Anatomy and Cellular Biology in 2014. Gillian has experience working with children in the public and private sectors with both physical and intellectual impairments, including but not limited to attention deficit hyperactivity disorder, autism spectrum disorders, cerebral palsy, developmental coordination disorder, Down syndrome, global developmental delay, learning disabilities, motor delay, sensory processing disorders, as well as spina bifida. When working with families, Gillian embraces an interdisciplinary and family-centred care approach. She provides the child with the necessary tools to improve their independence in daily activities, through her partnership with the family and other professionals. 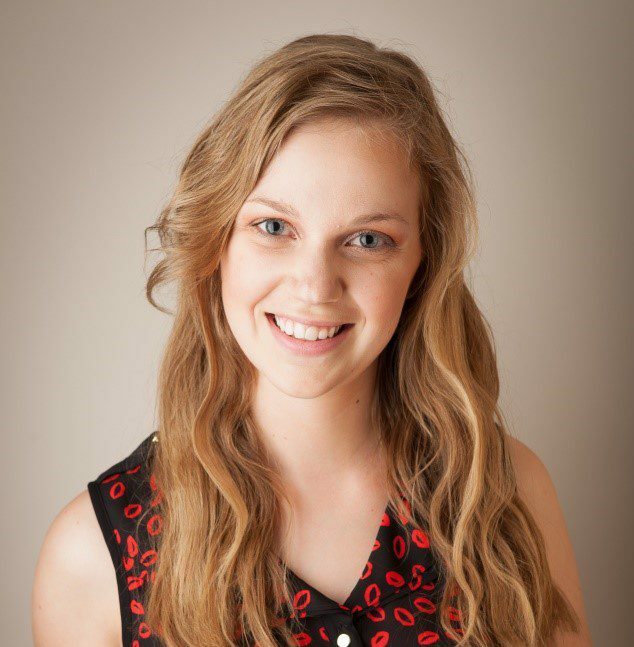 Gillian has always loved working with kids, be it as a lifeguard, volunteer or occupational therapist. She takes great pleasure in seeing the child’s sense of accomplishment when they attain a new skill. Outside of work, Gillian enjoys travelling and being a tourist in her own city. She loves to learn about new cultures and explore new areas.